X-Rite Pantone’s Sustainability Efforts Save Them Over $47K Annually! 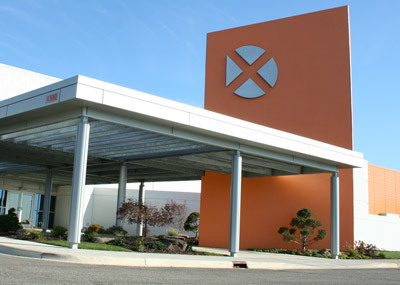 Headquartered in Grand Rapids, Michigan, X-Rite Pantone is a global company with locations around the world. Experts in blending the art and science of color, they focus on providing complete end-to-end color management solutions for their clients in every industry where color matters, including automotive, textiles, photography, plastics, film making, and many more. http://myesco.com/wp-content/uploads/2016/11/about-locations-small.jpg 285 400 MYESCO http://my-esco.com/wp-content/uploads/2015/05/logo1-1030x562.png MYESCO2016-11-10 06:30:212016-11-09 13:49:10X-Rite Pantone's Sustainability Efforts Save Them Over $47K Annually! New Construction Hotel Shoots for a Green Carbon Footprint! Woodspring Suites, a newly constructed hotel, recently opened in Wyoming, Michigan. For their efforts to reduce energy consumption, Woodspring Suites received $16,376 dollars in utility rebates. The hotel implemented LED lighting in both the interior and exterior of the facility. They also invested in high efficiency PTAC units and space heating boilers. Rockford Construction was the General Contractor on the project and worked with MYESCO, a registered trade ally with Consumers and DTE Energy, which allowed Woodspring Suites to utilize their utility rebate programs. The experts at MYESCO can help you sort through available options/projects that will lower energy costs at your company, while also earning utility incentives. http://myesco.com/wp-content/uploads/2016/10/DSC7764-1.jpg 2848 4288 MYESCO http://my-esco.com/wp-content/uploads/2015/05/logo1-1030x562.png MYESCO2016-11-02 18:30:572016-10-31 16:28:35New Construction Hotel Shoots for a Green Carbon Footprint! Local Non-Profit Receives Five Figure Utility Rebate Check! The YWCA of West Central Michigan, a non-profit organization, received a utility rebate check for $14,960.76 for implementing energy efficient systems. A final design was created that showed the newly renovated spaces (lighting, building envelope, HVAC) was 23.11% more efficient than ASHRAE standard. These upgrades will allow the YWCA to significantly reduce their energy consumption, which will also lower their operational costs far into the future. Erhardt Construction partnered with MYESCO, a registered trade ally with Consumers Energy rebate program, which allowed the YWCA to utilize their utility rebates. Has your project received utility rebates? The experts at MYESCO can help you sort through available options/projects that will lower energy costs at your company, while also earning incentives. http://myesco.com/wp-content/uploads/2016/10/IMG_0066.jpg 3024 4032 MYESCO http://my-esco.com/wp-content/uploads/2015/05/logo1-1030x562.png MYESCO2016-10-24 06:30:362016-10-31 16:24:05Local Non-Profit Receives Five Figure Utility Rebate Check! Do Energy Upgrades Really Save You Money? There are three types of energy upgrades that can occur; existing building retrofits, major remodels, and new construction projects. In each scenario, significant savings can be achieved from a variety of different areas. The first is by having an unbiased energy company do research to figure out if there are corresponding rebate opportunities available for the upgrades you’re making. This is a vital step in the energy upgrade process. Including an expert like MYESCO in the planning and design phase can significantly alter the amount of rebates that are available for your project. The best choices for fixtures, lighting, controls, and mechanicals can be jointly decided upon, allowing your company to realize the largest amount of savings. For example, if you were remodeling your office and needed 50 new lights, a standard fixture could be used that would allow you to install low-e bulbs. The alternative would be to consult with a company like MYESCO, who may suggest a different LED fixture and bulb allowing you to become eligible for a $4,000 rebate. This would likely pay for the entire project. Another way of analyzing a project is to look at the projected payback terms for the installation. Depending on the age of fixtures and systems, payback terms can be a matter of months based on reduced operational costs and rebates available. For example, an airport maintenance facility was able to obtain $45,000 in rebates for the $85,000 lighting and heating upgrades they performed. Within the first four months of operations, an additional $39,000 was also saved in reduced utility usage for the facility. Their ROI was quickly achieved and will provide significant savings into the future. Energy upgrades do save money and a reduction in usage is most scenarios is possible. It is essential to have an unbiased energy company on hand to properly analyze the energy projects your company is pursuing or already involved in. If you’re interested in more information about any of the programs or opportunities available in your area, contact us here or email us at info@my-esco.com. http://myesco.com/wp-content/uploads/2015/01/iStock_000043963890_Large.jpg 1662 2957 MYESCO http://my-esco.com/wp-content/uploads/2015/05/logo1-1030x562.png MYESCO2016-08-04 13:22:342016-10-20 16:38:56Do Energy Upgrades Really Save You Money? X-Rite Pantone's Sustainability Efforts Save Them Over $47K Annually!